Chairman Richard Prescott comes from a family of politicians. His father and grandfather helped guide Sera through difficult times, and Prescott himself has had to make very hard choices, including the Hammer of Dawn strikes that killed millions of his own people, as well as the sinking of Jacinto. Both of these were attempts to destroy the Locust, but neither worked as well as Prescott had hoped. But he lived with those decisions. Prescott’s ultimate goal was to find a way to finally eradicate the Locust and Lambent while keeping the Coalition of Ordered Governments' survivor’s fed and safe. He even lied about Adam Fenix's death so he could abduct him and hide him on the secret island of Azura until Adam found a cure for Lambency. 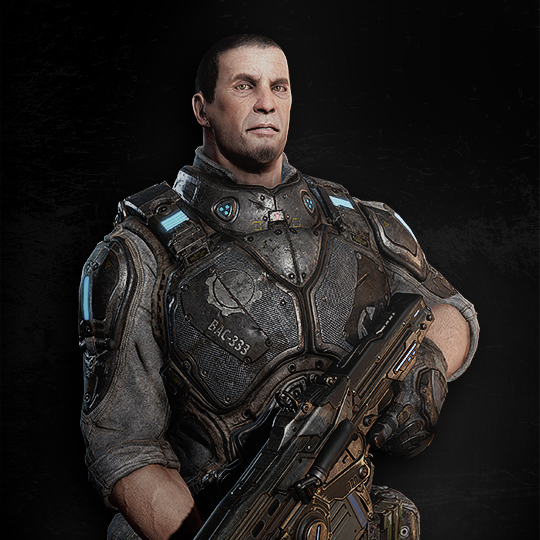 Prescott kept this a secret until the day he died off Hanover Coast in 17 A.E., shortly after giving Marcus Fenix a data disk and encryption key that would reveal his father’s secret location.